I am going to bring this display to my city. You have opened my mind to the facts we will have to talk more once I get back home. 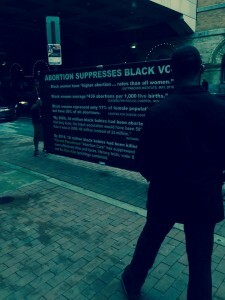 I never looked at abortion this way before, I am from Detroit and all people ever say is that there are too many Black babies. Children having children but a heart is beating at 18 days? Are those statistic accurate, that cant be true. 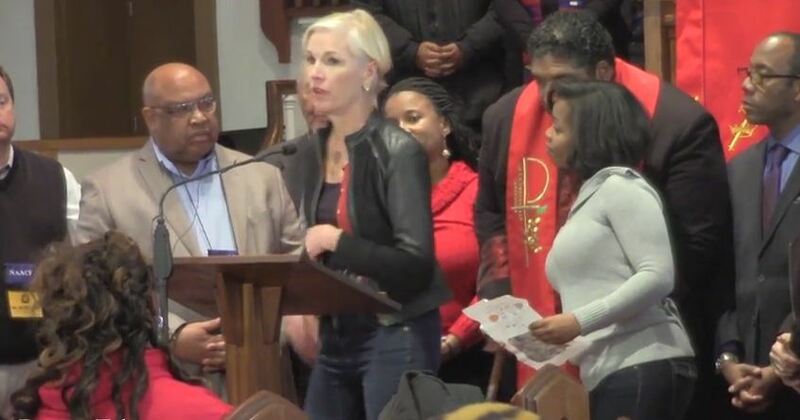 The NAACP, on the other hand, has had a cozy relationship with Planned Parenthood lately, even contributing to their Maryland office, although this was not always the case. The eugenics founded organization’s prez then thanks the NAACP, “Because our history at Planned Parenthood – we go back 99 years. And a lot of it started with some the same struggles. I mean Planned Parenthood was started because women were dying – we didn’t have a right to plan our own families. A right to health care if they need it. So, I feel that our links with the NAACP with the civil rights movement go back a long way,” she said. 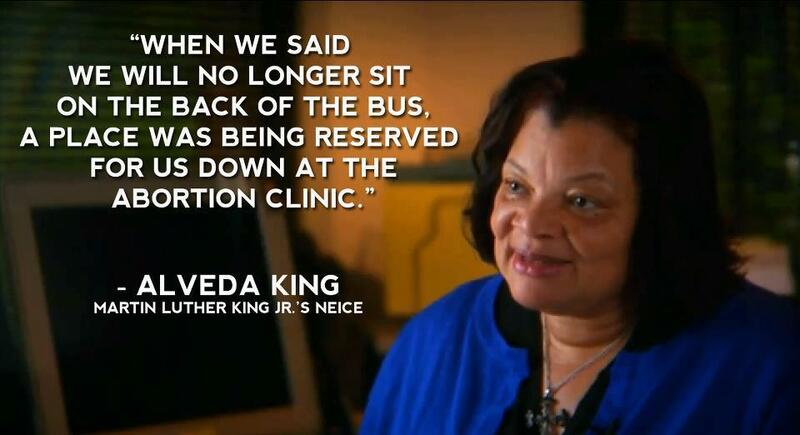 She then quotes Martin Luther King, “An injustice to one is an injustice to all,” the organization that admittedly murders over 300K unborn babies in the womb as well as some of their mothers said. Richards, is quite eloquent at rewriting history, but, thankfully, the real agenda and motivation behind the founding of Planned Parenthood has been thoroughly documented and the word RACISM and EUGENICS comes to mind when you investigate it. 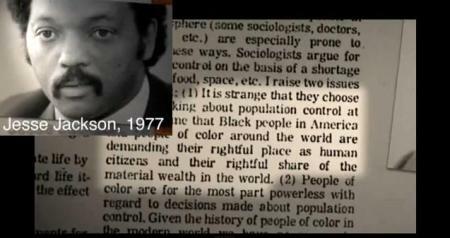 Just watch the film, Maafa21, available for free at www.maafa21.com for all the proof you will need. In all the hoopla over now Ex-NAACP leader Rachel Dolezal’s weird obsession and alleged identify as black – it seems that the NAACP has more problems protecting real Black men and women. I blog more about the NAACP’s lawsuit against Ryan here. Now, the group Life Dynamics has published a post about how the NAACP has ignored the death of a REAL BLACK WOMAN, which I am republishing below! MURDERED is what the front cover states and inside the death of a young Black woman is detailed. 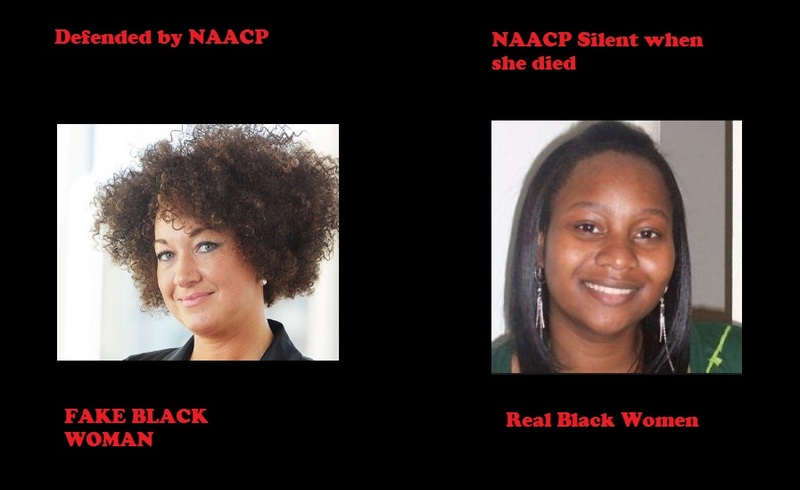 So, why has the NAACP remained silent on her death? 24-year-old Tonya Reaves walks into to a Planned Parenthood facility in Chicago for an abortion. During the procedure, the abortionist rips a hole in her uterus and she begins to bleed out. More than five hours later, an ambulance is called – but it was too late. Later, an autopsy finds that Tonya had lost approximately one-third of the blood in her body. 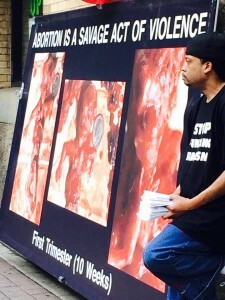 It is not unusual for a woman’s uterus to be torn during an abortion. However, these injuries are not always fatal and, in this case, if emergency treatment had not been withheld for more than five hours, it is almost certain that Tonya could have survived. But the staff at this Planned Parenthood abortion clinic knew that it is bad public relations for one of their customers to be wheeled out on a stretcher. So they [Planned Parenthood] let her bleed to death. When the leadership of the NAACP decided to look the other way at the killing of Tonya Reaves, they totally shredded whatever credibility they had left. These people can complain all they want about the growing view that they are irrelevant, but the truth is … that is the reputation they earned. 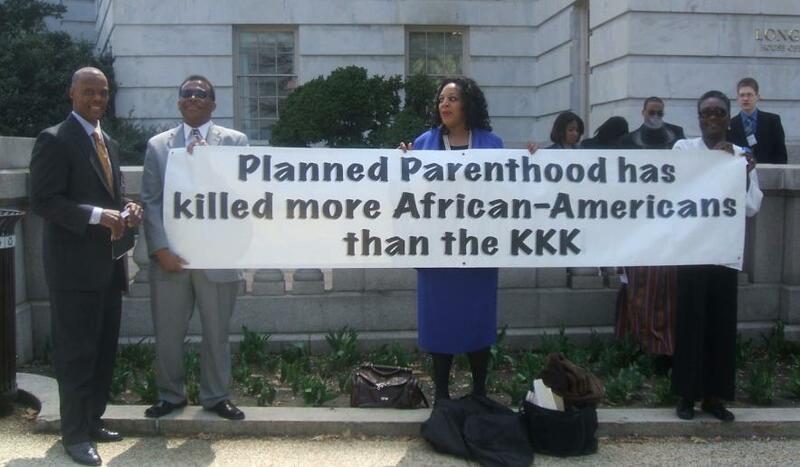 For years, they have been both a political and financial accomplice of Planned Parenthood – despite knowing that this multi-national corporation has a well-documented eugenic and genocidal plan to control the U.S. Black population. The fact is, the NAACP is owned by this corrupt organization and that is why they are willing to help them sweep this young woman’s dead body under the rug. 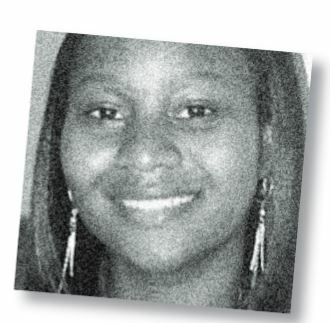 Planned Parenthood would like for us to just blow-off the killing of Tonya Reaves like it was an accident or medical malpractice. 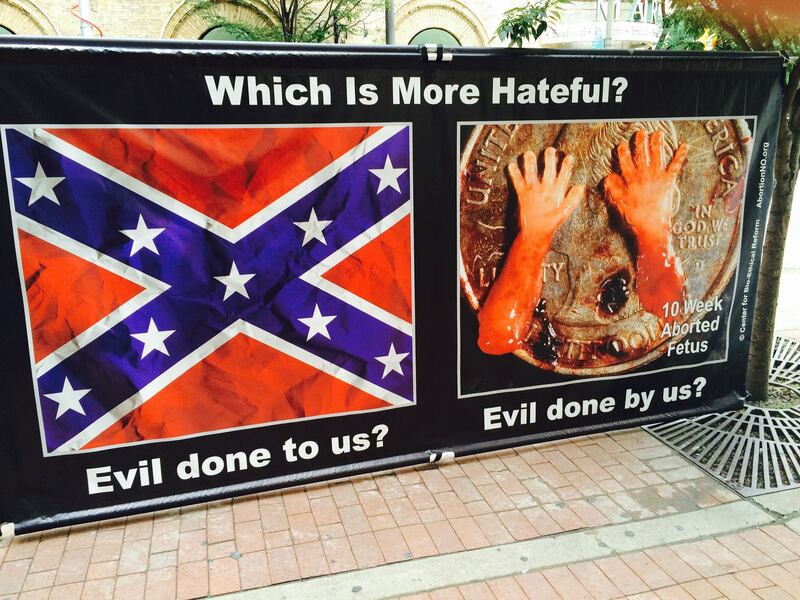 If Tonya had been killed by the Klan, we would be in the streets demanding justice. She doesn’t deserve less just because she was killed by Planned Parenthood. Call the NAACP and make it clear that you expect them to start pushing the authorities in Illinois to launch a criminal investigation into this young woman’s death. Call today and call often! Tell others by sharing this blog post and passing out the Tonya Reaves brochure. My readers might be interested to know just how many political cronies the Planned Parenthood center where Tonya Reaves was left bleeding had. Read that eye-opening report here. This week, the NAACP lost a trademark infringement lawsuit against a community organization which used the NAACP’s acronym in a parody to describe their support for abortion and Planned Parenthood. 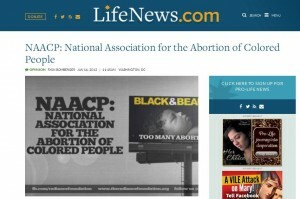 The National Association for the Advancement of Colored People (NAACP) lawsuit was filed after The Radiance Foundation, a non-profit organization dedicated to educating people about social issues from a Christian perspective and co-founded by Ryan Bomberger, published an article at the website LifeNews.com online entitled “NAACP: National Association for the Abortion of Colored People” which criticized the NAACP’s stance on abortion. Apparently, to the NAACP, using their acronym in political satire rises to the level of trademark infringement. “This lawsuit should be shocking to any American who values truth and the First Amendment,” said Bomberger at the time the lawsuit was filed. But, Bomberger did not stand alone in being on the receiving end of an NAACP trademark infringement lawsuit. You might be interested to know, that the NAACP once sued their sister organization under the same claim of trademark infringement. In 1985, The NAACP Legal Defense and Education Fund, Inc., won a court case against the National Association for Colored People (NAACP) for trademark infringement, according to a Federal Court of Appeals. The case overruled the decision of a federal judge in 1983. The court found that the NAACP began the Legal Defense Fund using the initials NAACP since 1939 but the organization had become too dependent over the years. That was where they went wrong. 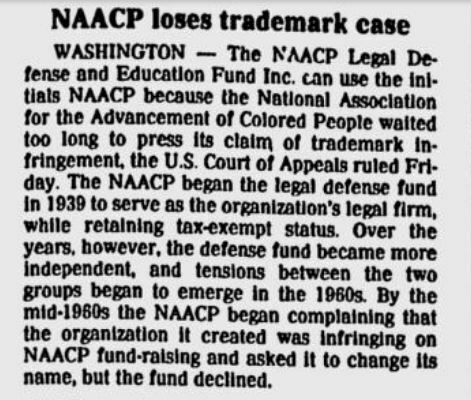 Apparently, the NAACP created a monster and when tensions emerged in the 1960’s they went to court, charging their own created wing of trademark infringement. As they always say, follow the money and what the NAACP said the Defense Fund did was infringe on their fund-raising. The United States Court of Appeals, District of Columbia Circuit reversed a District Court decision and ruled that the two organizations, like quarreling family members, must continue to share the NAACP initials with which they were born. The suit was later dismissed. Thankfully, in the Radiance Foundation case, the 4th Circuit Court of Appeals found that the NAACP did not have actionable claims for trademark infringement and Radiance’s use of the NAACP’s marks to criticize their abortion support falls squarely within the exceptions to trademark dilution specifically included in the Lanham Act to avoid encroaching on free speech rights. “In the context of trademark infringement, the Lanham Act’s purpose, as noted, is to protect consumers from misleading uses of marks by competitors,” the decision states. NAACP had held that because Radiance had a donate button on their website they were using the image for goods and services. But, the appeals court wrote, “When the “use of the trademark does not imply sponsorship or endorsement of the product because the mark is used only to describe the thing, rather than to identify its source,” restricting speech does not serve the purpose of the Lanham Act. 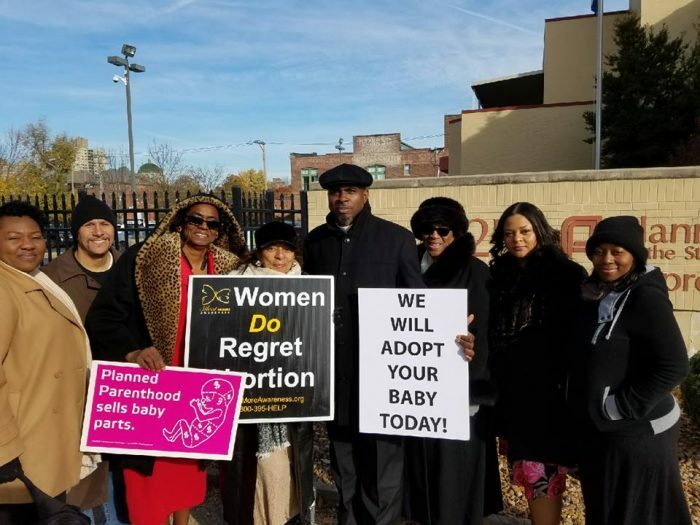 An appeals court has ruled in favor of a Black pro-life organization which parodied the NAACP to expose their stance on abortion. “WE WIN!!! 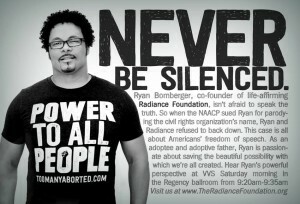 !” those are the words of Ryan Bomberger founder of the Radiance Foundation regarding his free speech lawsuit filed by the NAACP. “4th Circuit Court of Appeals rules, unanimously, in our favor! This is a huge win for the First Amendment. 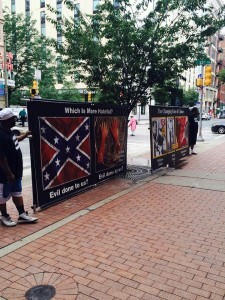 The NAACP tried to crush our right to free speech but truth and justice prevailed,” Bomberger posted today. 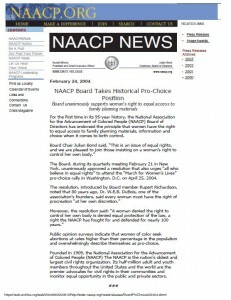 The lawsuit, initially filed by the National Association for the Advancement of Colored People, better known by its acronym “NAACP” against Bomberger began after The Radiance Foundation, an organization Bomberger co-founded, published an article online entitled “NAACP: National Association for the Abortion of Colored People” which criticized the NAACP’s stance on abortion. The Radiance Foundation is a nonprofit organization focused on educating and influencing the public about issues impacting society. Radiance addresses social issues from a Christian perspective. 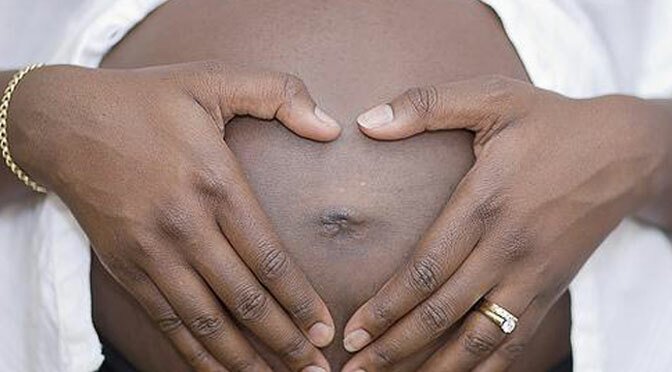 It uses as its platform two websites, TheRadianceFoundation.org and TooManyAborted.com, where it posts articles on topics such as race relations, diversity, fatherlessness, and the impact of abortion on the black community. The article, “NAACP: National Association for the Abortion of Colored People,” was posted by Radiance, and then picked up by Life News, exposing the NAACP’s ties to Planned Parenthood. 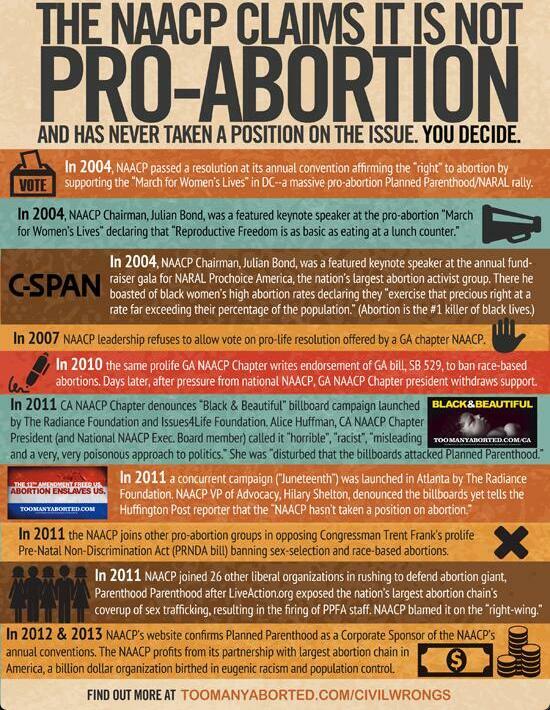 Shortly after the NAACP began to receive criticism for its position on abortion. 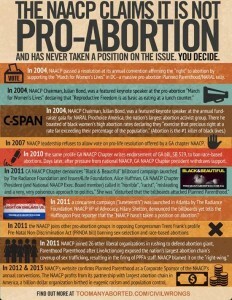 Though the NAACP has often claimed to be neutral on abortion, Radiance maintains that the NAACP’s actions actually demonstrate support for the practice. According to Life News, following the piece, the NAACP sent Bomberger, the Chief Creative Officer of the Radiance Foundation, and LifeNews a threatening letter claiming infringement on its name and logo for including it in the opinion column. A court then ruled that The Radiance Foundation engaged in trademark infringement after doing nothing more than posting an article online that parodied the NAACP’s name. After a bench trial, the district court found for the NAACP on all counterclaims and denied declaratory relief to Radiance. 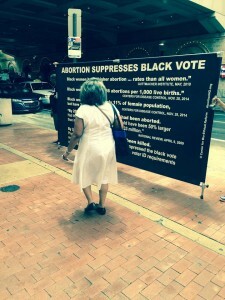 The district court issued a permanent injunction “against any use [by Radiance] of ‘National Association for the Abortion of Colored People’ that creates a likelihood of confusion or dilution. However, it declined to award any damages or attorney’s fees, as it found the NAACP had failed to make the case that they were warranted. In the latest decision, the 4th Circuit Court of Appeals found that the NAACP does not have actionable claims for trademark infringement here, and Radiance’s use of the NAACP’s marks falls squarely within the exceptions to trademark dilution specifically included in the Lanham Act to avoid encroaching on free speech rights. In finding that Radiance’s use of the NAACP’s marks was “in connection with” goods or services, the appeals court ruled that the district court erred in several respects, pointing out that Radiance used the NAACP’s marks only in the title and body of an article criticizing the NAACP. Although present on the article page, the Donate button was off to the side and did not itself use the NAACP’s marks in any way. 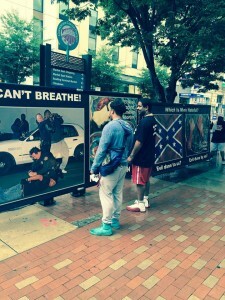 The billboard campaign was displayed on a different page altogether. A visitor likely would not perceive the use of the NAACP’s marks in the article as being in connection with those transactional components of the website. It is important not to lose perspective. The article was just one piece of each Radiance website’s content, which was comprised of articles, videos, and multimedia advocacy materials. That the protected marks appear somewhere in the content of a website that includes transactional components is not alone enough to satisfy the “in connection with” element. To say it was would come too close to an absolute rule that any social issues commentary with any transactional component in the neighborhood enhanced the commentator’s risk of Lanham Act liability. Radiance’s ploy was nonetheless effective at conveying sharply what it was that Radiance wished to say. The implications for the likelihood of confusion factors are thus obvious: parody or satire or critical opinion generally may be more effective if the mark is strong and the satirical or critical version is similar to the original. The critical message conveyed by the satirical mark itself and in the commentary that follows ensures that no confusion about the source of the commentary will last, if in fact it is generated at all. 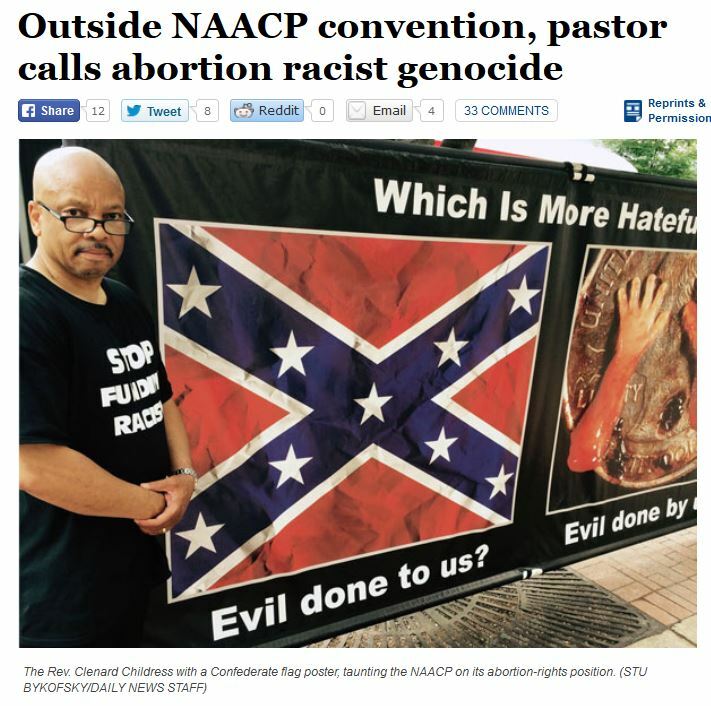 In this case, the title related to and conveyed the subject of the article: the NAACP and Radiance’s views of its alleged stance on abortion. The use of the satirical modification of the true NAACP name was designed, as many titles are, to be eye-catching and provocative in a manner that induces the reader to continue on. We cannot find that use of the NAACP marks in the title of the Radiance article created a likelihood of confusion as to the piece’s authorship or affiliation. 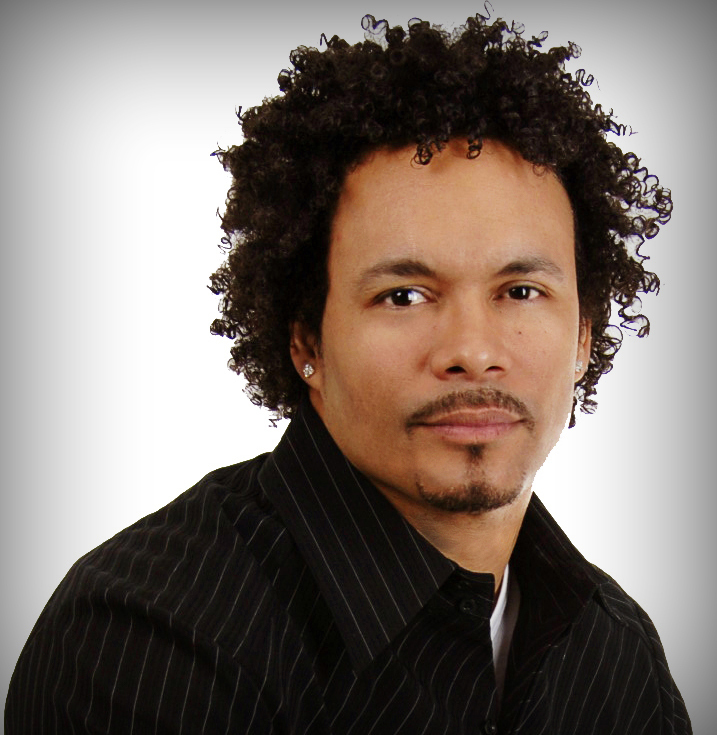 Ryan Bomberger says that now that the legal wranglings are over, he plans to continue to call the NAACP out on their stance regarding abortion. “What an upside down world,” Ryan Bomberger told Life Dynamics in response to the decision. “We are incredibly grateful to ADF and our attorney, Chuck Allen, for defending what the NAACP claims to protect: our most basic civil rights,” Bomberger added. 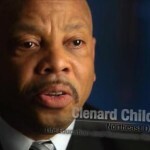 In the documentary film, Maafa21, Life Dynamics also discusses the NAACP’s attitudes on abortion detailing how the organization tried to hide and prevent their convention goers from hearing about the abortion connection to black genocide. 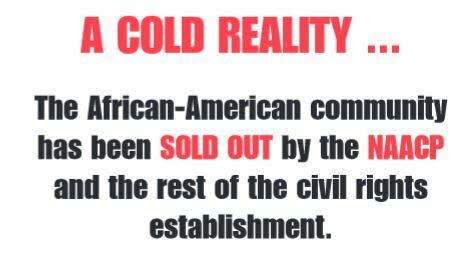 One witness interviewed in the film states that ironically, the NAACP even went to the extent of using buses to block their demonstrations about black genocide in front of Cobal Hall.